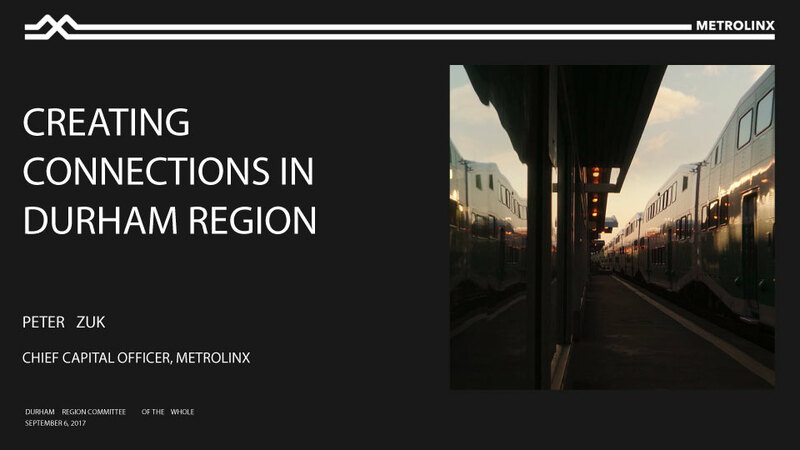 A presentation by Metrolinx to the Durham Region Council regarding local projects planned for the area. An FAQ by Metrolinx to the Durham Regional Council regarding local projects planned for the area. 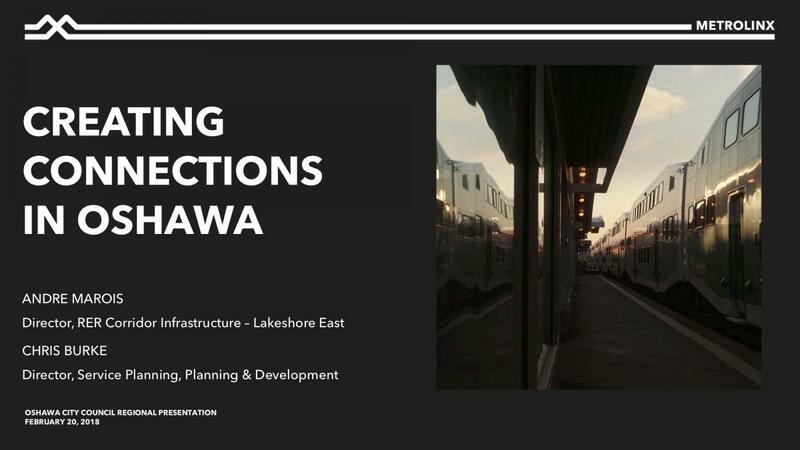 A presentation by Metrolinx to the Oshawa City Council regarding local projects planned for the area. An FAQ by Metrolinx to the Oshawa City Council regarding local projects planned for the area. A presentation by Metrolinx to the Clarington City Council regarding local projects planned for the area. An FAQ by Metrolinx to the Clarington City Council regarding local projects planned for the area.